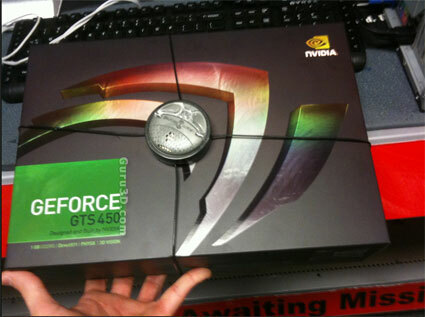 NVIDIA starts selling their own branded graphics cards in USA at Best Buy stores , nVidia-branded GeForce GTS 450 and GTX 460 boards. "NVIDIA and Best Buy are working together to offer PC customers the opportunity to experience firsthand the latest in PC technologies right inside Best Buy stores. As part of this broad initiative, NVIDIA is supplying to Best Buy specific GeForce models built and supported by NVIDIA. These products will only be available at Best Buy and will complement GeForce products from our partners. We will provide more details on this later."